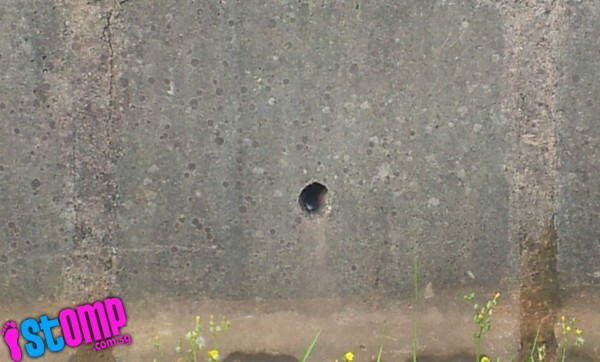 STOMP contributor Augusta came across what appears to be a Spitting King Cobra at Ulu Pandan Canal. 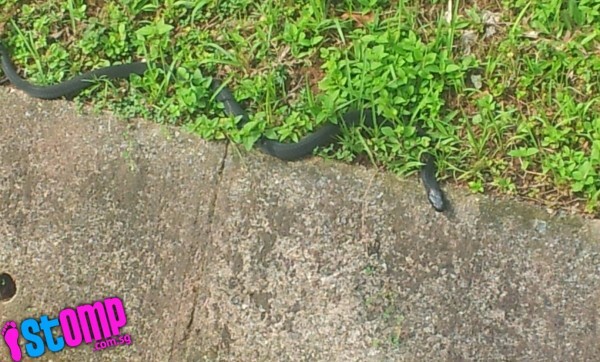 According to the STOMP contributor, these snakes are apparently rather common sightings at Clementi. 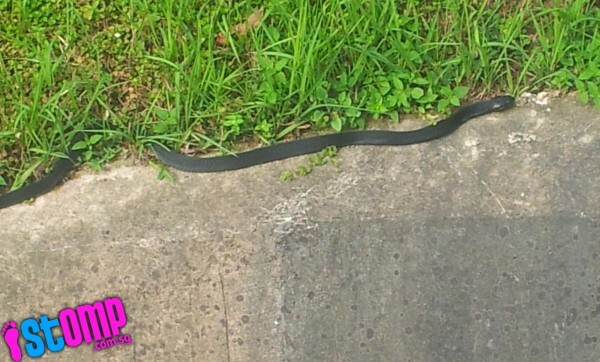 "On Sep 13 at 9.30am , a Spitting King Cobra was sighted at Ulu Pandan Canal at the drain along the cycling track, towards Clementi Road. "A sweeper who was at the scene contacted his supervisor about his discovery. "However, by the time his supervisor arrived, the reptile had slipped behind the concrete slab. 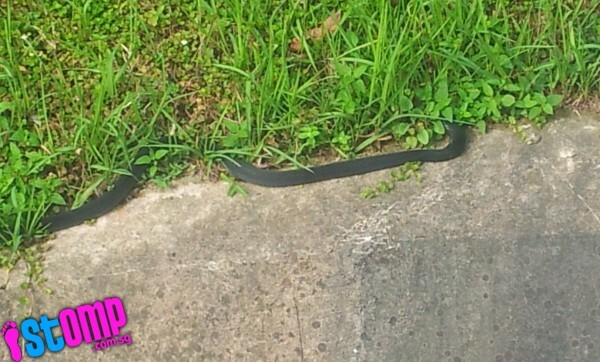 "Spitting King Cobras are quite common in Clementi, and I checked online and consulted some friends."